Make a big impact on your interior design with one of these special commission tunnel style gas fireplaces. The illustration below shows an example installation of a specially designed gas fuelled fireplace. You can take your inspiration from the other products in the Ortal fireplaces range or come up with your own unique designs. 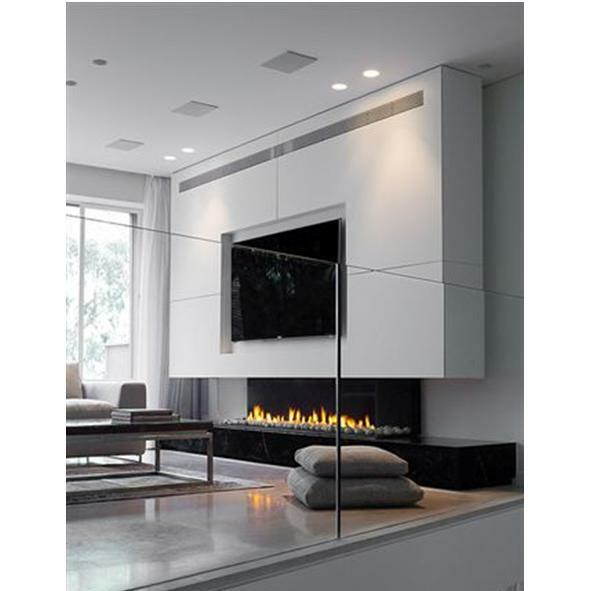 Ortal Bespoke design Gas Fireplaces are balanced flue gas fuelled fireplaces available in Natural Gas or LPG.